Lundberg Bakery - Volz & Associates Inc. The Lundberg Bakery was built in 1876 by Swedish immigrant Charles Lundberg. A brick oven dating to 1909 is still in the building and may be the oldest of its kind remaining in the state. This historic oven was preserved for display as part of our restoration of the Bakery. 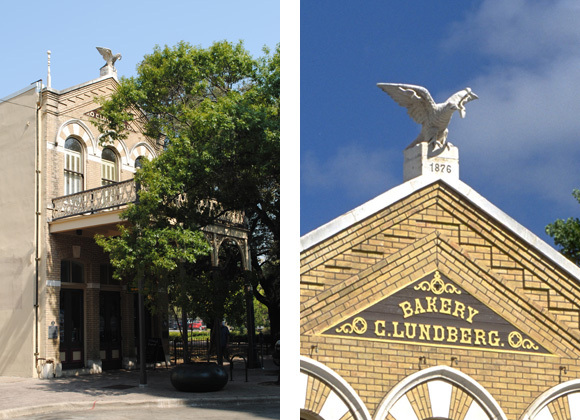 The Lundberg Bakery project was approved by the Texas Historical Commission and the City of Austin Landmarks Commission. In 1995, it received a Preservation Award from the Heritage Society of Austin.